Coffee company planning new intown location. A new Starbucks Coffee location is being proposed on Piedmont Avenue across from the new Modera Morningside apartments and Sprouts Farmers Market. The new Starbucks would open in place of Saigon Basil, a local Thai & Vietnamese restaurant. The 1,700 square foot building at 1870 Piedmont Avenue dates from 1956 and was originally built as a First Federal Savings bank branch. 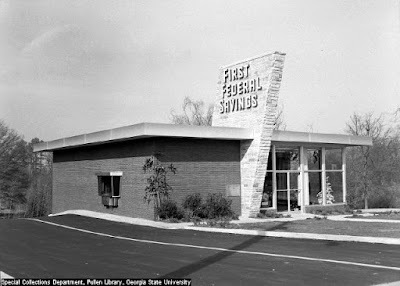 Ironically, Starbucks already operates out of another former First Federal Savings branch of similar aesthetic on Roswell Road in Sandy Springs. Sandy Springs Starbucks courtesy of "Remembering Sandy Springs"
Over the years, the Piedmont Avenue building has been a number of things, including an Einstein Bros. Bagels shortly before opening as Saigon Basil. Not far from the would-be Starbucks, Dunkin' Donuts, a rival of the coffee powerhouse, opened a new location in a renovated Burger King in 2012. 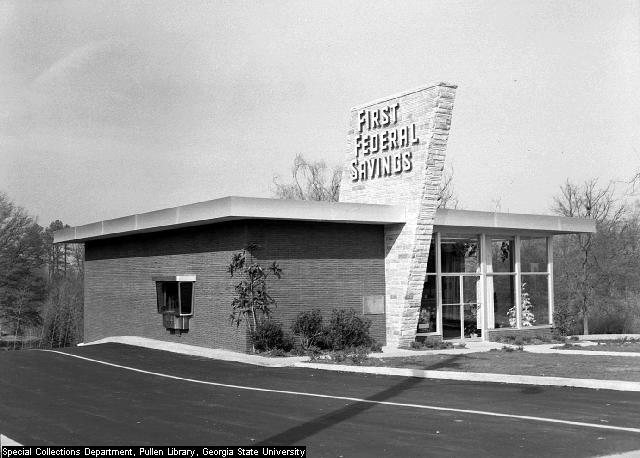 First Federal Savings courtesy of "Atlanta Time Machine"
As a fan of unique architecture and saving old buildings, I for one hope Starbucks intends to strip away the crappy covering over the stone wedge in the middle of the building. Doing so would not only match it to the Sandy Springs location but would give the building back the character it has been lacking. 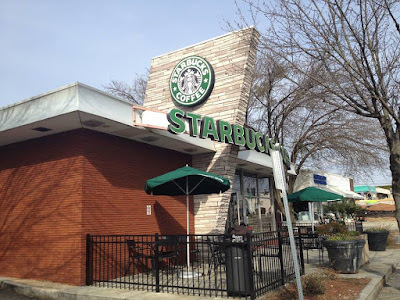 Starbucks is also planning to renovate the former Wendy's on Peachtree Road in Brookwood Hills. Are you excited about the possibility of another Starbucks in the neighborhood? Are you like me hoping the coffee company strips away the faux covering over the stone facade? 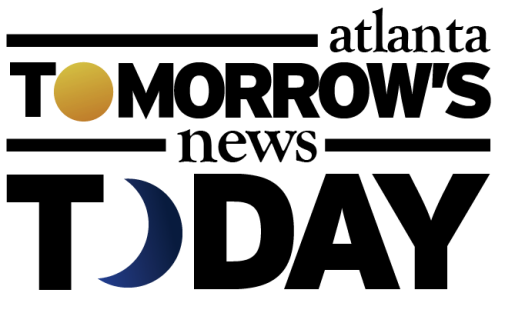 Are you old enough to have banked at First Federal Savings? I've heard that Starbucks plans to open a new (drive-through) location on LaVista next to Northlake Mall (where the old Wachovia/Wells Fargo building currently sits). Can anyone confirm, or does anyone have any additional information? Makes sense, given the current awful location (sans drive-through) across LaVista. You are correct. I have been in communication with the developer and hope to have definitive news soon. It's been in the works for months. This section of Piedmont has really needed more traffic, especially left turning traffic. Thanks to Starbucks, whose cell-phone-talking-drive-thru customers will likely overflow onto Piedmont and block traffic during peak hours. Maybe people who are going north can survive until they make it to the Starbucks on Sidney Marcus, which is two right turns about a mile away, instead of trying to turn left. Otherwise I forsee almost daily road rage incidents happening right there. I also hope they take a pickaxe to that fake stucco is that they covered the stone with and restore the building to its original look. I wonder how much traffic is going north on Piedmont in the mornings. 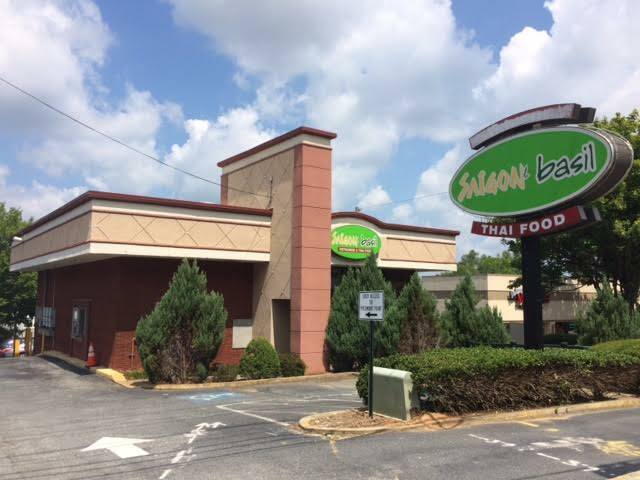 Glad to see Saigon Basil go. A few years back, it was pretty decent, but management raised prices and changed the presentation of their food. Service was consistently rude as well. If one wants decent Vietnamese food, simply drive a few miles down Buford Highway. @396 - No way. That one doesn't have a drive thru! I can't tell you how many times I go to the location on Cumberland at Paces Ferry and I park, note where I'd be on the drive thru line, go in, get my drink, leave and notice that if I had gone in the drive thru line, I'd still be 5+ cars from even ordering. People will do anything to avoid getting out of their car even if it means much more time in line. I like to call it The Lazying of America!  Which location is the one on Cumberland at Paces Ferry?